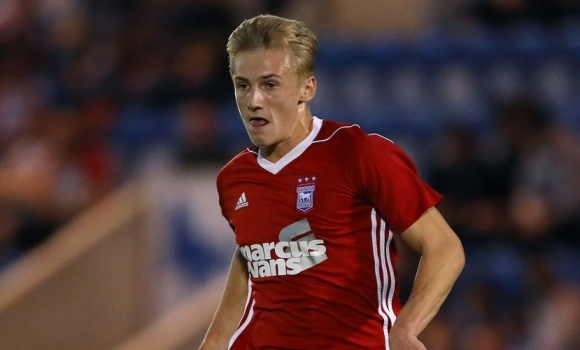 Town duo Tristan Nydam and Flynn Downes have been named in the England U19s squad for friendlies against Poland and Germany during the international break. Nydam, 17, previously won one cap at U18s level, while fellow academy product Downes, 18, features in an international squad for the first time. The Young Lions face the Poles at St George’s Park on Friday 1st September and the Germans at Mansfield’s One Call Stadium on the following Tuesday. The squad features a number of players who were involved as the U19s won the European Championships in Georgia in the summer and Andre Dozzell, a key member of that side, would almost certainly have been included had he not suffered a season-ending cruciate knee ligament injury on the opening day of the campaign. Meanwhile, academy first-year full-back Dylan Crowe featured for the England U17s as they lost 2-1 to Italy at Kidderminster on Tuesday in the final of the tournament they have been involved in over the last week, while schoolboy striker Zak Brown netted a debut winning goal as the U16s beat Turkey 2-1 yesterday. England U19s: Ellery Balcombe (Brentford), Keanan Bennetts (Tottenham Hotspur), Ben Brereton (Nottingham Forest), Jaden Brown (Tottenham Hotspur), Flynn Downes (Ipswich Town), Elliot Embleton (Sunderland), Edward Francis (Manchester City), George Hirst (Sheffield Wednesday), Reece James (Chelsea), Daniel Kemp (West Ham), Jonathan Leko (West Bromwich Albion), Marcus McGuane (Arsenal), Mason Mount (Vitesse Arnhem, on loan from Chelsea), Reiss Nelson (Arsenal), Edward Nketiah (Arsenal), Tristan Nydam (Ipswich Town), Ryan Schofield (Huddersfield Town), Dujon Sterling (Chelsea), Japhet Tanganga (Tottenham Hotspur), Jake Turner (Bolton Wanderers), Josh Tymon (Stoke City), Tariq Uwakwe (Chelsea), Joe Willock (Arsenal). Our youth is looking very exciting at the moment. A very good sign that these lads are being picked alongside youngsters from clubs like Chelsea, Spurs, Arsenal etc. Both have done really well since the start of the season, very refreshing to see such composed footballers who look to play 'football'. Proud of these lads! So much better than playing deadwood such as coke, Tabb etc, and getting the academy players through. Really pleased how this season has started! Well deserved and a great experience , will hopefully encourage them to kick on and fight for their place in the first team when the currently injured are fit for selection. Town fans proud of these two and others close behind them. Well done to both. Great to see us producing some quality young players through the academy. As someone mentioned above, I can't handle being mid table with a load of 30+ year old rejects, but I can certainly accept whatever happens with a clear plan of developing these lads into making us a better side in the future. Well done lads, well deserved! Very proud of how well they and the other youngsters are doing, credit to the acadamy staff as well! It's wonderful to see Ipswich players in the young England teams. Let's hope that they can graduate to the full squad. The only concern being that their heads get turned by the salaries available in the Prem, but they probably know that anyway. Quite superb news. This will aid their development no end and will act as a beacon for the rest of this youth team. Three months ago Flynn and Tristan were just names to many Town fans, but now we can see them as rock-solid, decent squad options in one of the most streetwise leagues in Europe. Out of a squad of 23, only 7 are non PL (assuming the Chelsea Vitesse loan still belongs to a PL club). Of these 7, two are ITFC. Pretty impressive company for our boys. (No Budgies, I notice.) Well done to all our youth team. We hope and believe there's more to come. Good luck and well done lads. The only way is up from now on. Deserved recognition to you both. Well done Jonathon Douglas!! Looks like everything he was teaching the youth players over the past 2 years is starting to show.